Located just 3.4 miles from Yellowstone’s east gate, Sleeping Giant is home to spectacular views of the world-renowned national park and the Shoshone National Forest. Designed by Skyline Ziplines, the zip line was built to blend in with the scenery and to give our riders the opportunity to see the area from a new perspective. Last Full Tour departs at 4:30 p.m., Last Zip #1 departs at 5:30 p.m.
Our Full Zip Tour takes you down five different lines through the Shoshone National Forest. Following a safety orientation, you’ll start at Zip Line #1 which takes you from the lodge across the Shoshone River for a short test ride. After the test, zip liners take the Big Horn Double Chairlift to the top of the mountain where you’ll begin the main zip course (Zip Lines #2-5). 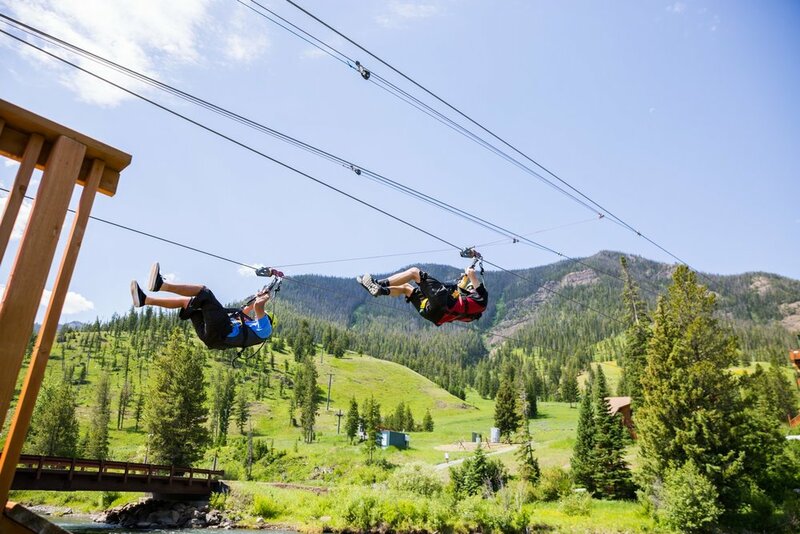 On these four zip lines, you’ll get to race your partner on each leg. Zip Line #5 lands you at the top of a 45-foot tower near the main lodge where you began. Zip liners have the chance to take the “Quick Drop” 35-foot free fall to the ground or descend the stairs to complete the tour. Want a quick adventure but only have a short window of time? Then the Zip #1 tour is the tour for you! This tour takes zip liners across the North Fork of the Shoshone River and drops approximately 33 feet while riding along 360-feet of cable. Participation not recommended if you have any of the following medical conditions: Back, neck, or heart problems, high blood pressure, motion sickness or dizziness. These conditions may be worsened or aggravated by this adventure. In addition to these conditions, expectant mothers should not ride the zip line. Dress for the current weather forecast which you can check on our weather and conditions page. We do operate in the rain – however – the course will be closed if there is lightning or high winds in the area. Advance notice may not be possible. If your adventure is cancelled due to weather, you may re-book for another time, or we will refund the purchase of your adventure. It is best if jewelry, cellphones, and wallets are kept locked in your car. Sleeping Giant LLC is not responsible for any property that is lost, damaged, or stolen during your adventure. A leash is recommended for sunglasses, hats, and other personal items. Our guides are well trained and work very hard to ensure your safety on your adventure. If you enjoyed your zip line ride, don’t forget to tip. Tipping your guides according to your satisfaction is greatly appreciated. A customary tip is approximately 15% to 20% of the full purchase price. You may give a tip on a card either before your adventure or after your adventure in the lodge. Every participant is required to sign a liability and release waiver before their zip line adventure. Participants under the age of 18 must have a signed waiver by a parent or guardian. Closed-toed shoes are required and comfortable clothing is recommended. Please avoid any loose clothing. Long hair will need to be tied back. Our zip line adventures are designed for use by participants of average physical condition who are in reasonably good health. The required participant weight range is from 50 to 265 pounds and between 4-feet and 7-feet 8-inches tall. Riders will be weighed and measured at check-in. No one under the influence of alcohol, illegal drugs, or impairing legal drugs will be allowed to participate in the adventures.  Sleeping Giant LLC reserves the right to deny participation to anyone for medical, safety, or any other reasons not conducive to a safe zip line adventure.